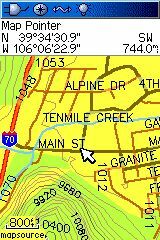 The purpose of this project is to create electronic topo maps for the state of Colorado for Garmin GPS units with mapping capability. This is an on-going project with additional updates performed as time and resources allow. The mapset covers the state of Colorado. 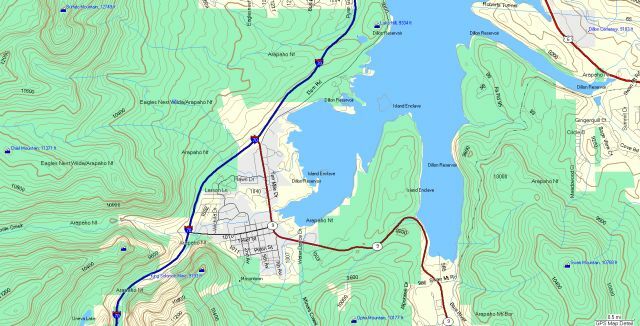 For use from within Garmin's MapSource (on PCs), download and execute the mapset installer below. This program will install the map files and register the mapset with MapSource. Within MapSource a new mapset product "Colorado Topo Maps" will be available in the Product drop down selection list (or from the View | Switch to Product menu option). 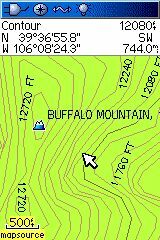 The Colorado Topo Maps mapset should overlay any other mapset present on your GPS unit. To switch between mapsets (if more than one has been loaded to your GPS) simply hide/show mapsets as described here. The NHD is a comprehensive set of digital spatial data that contains information about surface water features such as lakes, ponds, streams, rivers, springs and wells. While initially based on 1:100,000-scale data, the NHD is designed to incorporate and encourage the development of higher resolution data required by many users. The BLM was established in 1946 through the consolidation of the General Land Office (created in 1812) and the U.S. Grazing Service (formed in 1934). The BLM is responsible for carrying out a variety of programs for the management and conservation, of resources on 258 million surface acres, as well as 700 million acres of subsurface mineral estate.